Michigan Vehicle Accident Attorneys | Truck Accidents | Motorcycle Accidents | Foster & Harmon P.C. If you or a family member is the victim of a vehicle related accident, you might have a case against the person at fault in the vehicle accident. Our experienced Lansing car accident attorneys will answer all your questions concerning vehicle injuries. We look forward to helping you get through this difficult time and reach the best possible outcome involving your vehicle injury case for you and your family. Car accidents happen every day injuring, and even killing, thousands of people. When the negligence of others is the cause of these auto accidents in Michigan, there is a solution. Injured victims, and the families of those killed, have the right to file claims or lawsuits against the responsible party. You can recover medical expenses, lost income, and compensation for pain and suffering. To understand your rights and how the legal process works, speak with a auto or car accident attorney who specializes in this type of law and understands the complexities of car accident claims. Read more about our car accident attorneys here. Trucks cause catastrophic injuries or death when they are involved in an accident with a motorcycle, car, or another truck. If operator negligence is the cause of the truck accident, the victim or family of the victim may be entitled to compensation. If you have been injured in a truck accident in Michigan, you need an expert who can give you proper legal advice. Truck accidents involving commercial vehicles with savvy insurance adjusters and corporate attorneys may offer quick, inadequate settlements. The truck accident attorneys at Foster & Harmon P.C. will make sure that if you are entitled to a greater settlement, we will help you get it. Accidents involving motorcycles and mopeds often end up with serious injuries. Frequently the driver of a vehicle fails to notice a motorcycle on the road. Motorcycle drivers are cut off, rear ended, and pushed off the road. If you have sustained an injury resulting from a moped or motorcycle accident, you will need and individual who understands the dynamics of these accidents and can advise you on what rights you are entitled to and how the legal process works. Put your legal situation in the hands of an experienced motorcycle accident attorney who possesses the knowledge to help you get the result you deserve. Pedestrians involved in motor vehicle collisions usually suffer serious injuries or death. Accident attorneys at Foster & Harmon P.C. will seek maximum compensation for families and individuals hurt in such accidents. The law provides payment for lost wages, medical costs, and other costs of a pedestrian/automobile accident. Our accident lawyers take on large insurance companies to obtain maximum compensation for victims. Children are especially vulnerable to pedestrian accidents as they have can run into the street, ride their bikes into traffic, and walk in between parked cars. It is the responsibility of the driver of a vehicle to look out for children. Foster & Harmon P.C. have helped many families who have fallen victim to these types of injuries. It is important to discuss your case with an experienced vehicle related, Accident attorney in Michigan who can aggressively pursue the funds you will need for the future. 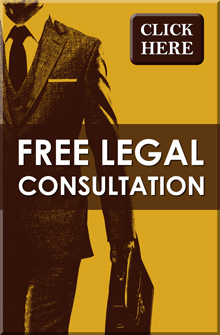 Contact our East Lansing law firm today for a free consultation and find out if you have a case.